June 6th in WP Stuff by Wordpress Jedi . Personality tests can provide you with a wealth of information on people who take them. They show their tendencies, strengths, and weaknesses. Many organizations run these tests from time to time to gain a better understanding for their work force. Thanks to PTest for WordPress, you can create your very own tests to treat your visitors with. Adding new tests using this plugin is pretty simple. You first want to create a new test and provide it with a name and description. For personality dimensions, you should provide a description to test two opposite poles (e.g. introvert vs. extrovert). 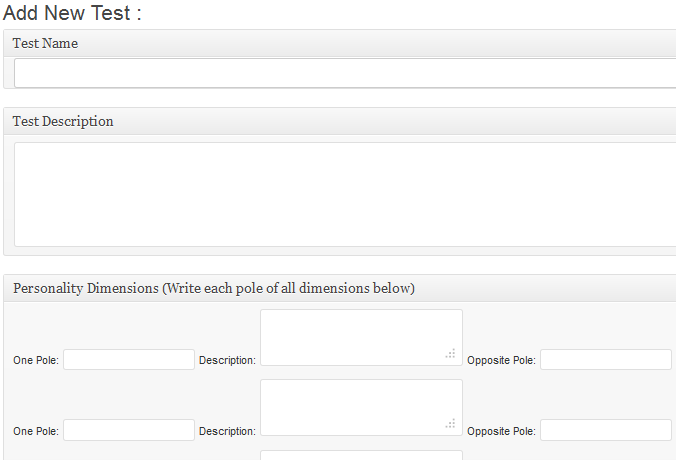 You can add more dimensions to better test your audience. 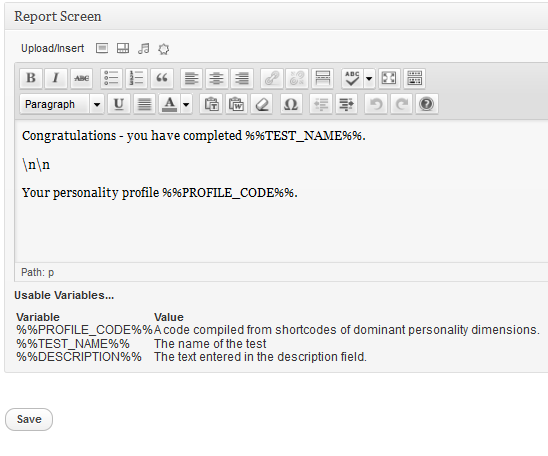 In order to add your test to your page, you should use the [PTEST ID] shortcode. The test will walk your visitors through each step and provides them with their personality type as soon as they are finished with your questions. You should take time to enter an enough number of questions to better gauge the personality of your visitors. You are in control of what shows up in the report page. This is a pretty useful plugin for business schools or any organization interested in running personality tests on a WordPress site. It is simple to implement and gets the job done.